Considered one of the funniest and most inventive plays by Britain’s grandmaster of comedy, this romantic sci-fi satire is set in the foreseeable future, when actors are replaced with convincingly lifelike robots known as “actoids.” Adam, an aspiring young writer, visits a TV studio to meet his idol, Chandler, the director of a never-ending hospital soap opera who was once a great movie director. On the set, Adam discovers the charming android Jacie Tripplethree (serial number JCF 31333) and realizes that the programming glitch that makes her laugh hysterically also makes her more human. Adam and Chandler start developing a new TV show for Jacie to star in, but the studio executives aren’t convinced. Will Adam lose his heart to a robot? Will his show get the green light? Will love prevail? Tune in to find out! In the age of today’s virtual online assistants, this wickedly funny satire from 1998 reads like a cautionary tale of the rise of artificial intelligence. 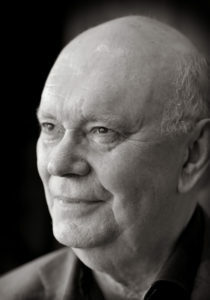 Ayckbourn has worked in theatre as a playwright and director for over sixty years. To date he has written more than 80 plays, various one-act plays, and a large amount of work for the younger audience. His work has been translated into over 35 languages and is performed on stage and television throughout the world, winning countless awards. Major successes include: Relatively Speaking, How The Other Half Loves, Absurd Person Singular, Bedroom Farce, A Chorus of Disapproval and The Norman Conquests. In recent years, there have been revivals of Season’s Greetings and A Small Family Business at the National theatre, in the West End Absent Friends, A Chorus of Disapproval, Relatively Speaking and How The Other Half Loves. 2017 saw a major revival of The Norman Conquests at Chichester Festival Theatre. Artistic Director of the Stephen Joseph theatre from 1972 – 2009 (where almost all his plays have been first staged), he continues to direct his new work there and from where his productions regularly tour to New York as part of the Brits Off Broadway to great acclaim. He received the 2016 Oxford Literary Festival’s Honorary Fellowship and in recent years, he has been inducted into American Theatre’s Hall of Fame, received the 2010 Critics’ Circle Award for Services to the Arts and became the first British playwright to receive both Olivier and Tony Special Lifetime Achievement Awards. He was knighted in 1997 for services to the theatre. 2019 marks both his 80th birthday and the 60th anniversary of his professional playwriting debut. Conrad Alexandrowicz is a director, writer and choreographer, and the artistic director of Wild Excursions Performance. He holds a BFA in Dance from York University and an MFA in Directing from the University of Alberta. Originally from Toronto, he performed with a number of Canadian dance companies, principally Dancemakers, where he began to produce his own work, much of which featured original text. He left the company in 1987 to choreograph, direct and perform independently. In 1995 he founded Wild Excursions Performance as the vehicle for his creative ventures. Over the course of his professional career, he created over forty-five dance and physical-theatre works, some of which have been presented across Canada, in New York City, France and the U.K. He and his work have been recognized with Jessie, Sterling and Dora Awards. 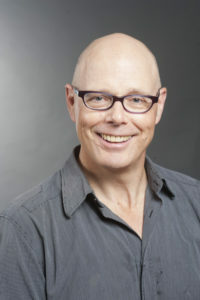 Previous to his appointment at the University of Victoria in 2008, he taught at Simon Fraser University, the University of British Columbia, the Vancouver Film School and Capilano College, and directed at Douglas College, Studio 58 and United Players, as well as creating and producing work for the company he founded, Wild Excursions Performance. He specializes in the creation of varieties of interdisciplinary performance that address subjects central to the human journey: issues of relationship, gender and power, and the nature of the performance event itself. Between 2012 and 2016, he explored the staging of poetry with actors, dancers and musicians by means of a substantial grant from the Social Sciences and Humanities Research Council, in collaboration with noted Canadian poets Lorna Crozier and Erín Moure. Since his appointment at UVic, he has turned to academic writing, and his articles have been published in such journals as Theatre, Dance and Performance Training and Studies in Theatre and Performance. Among other writing assignments he is currently at work on a book project, Acting Queer: Gender Dissidence and the Subversion of Realism, to be published by Palgrave Macmillan in 2019. 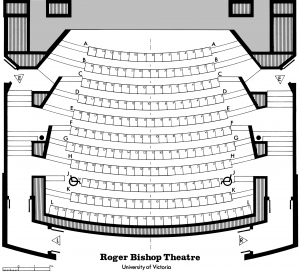 Performed in the Roger Bishop Theatre.